Located just west of Arcola Illinois near Rockhome’s Gardens in the heart of the Central Illinois Amish community, lies the infamous Grave of the Chesterville Witch. According to lore, back in the 1800’s a young Amish woman (who challenged the elders of the church) was ultimately banished from the church and accused of being a witch. Soon after, she was found dead and the “authorities” evidently ruled her death from “natural causes”. According to the tale, her body was eventually buried in the Chesterville Cemetery and an Oak tree was planted over the grave to prevent her spirit from escaping and exacting revenge. An iron fence was ultimately erected around the grave to make certain people would stay away. 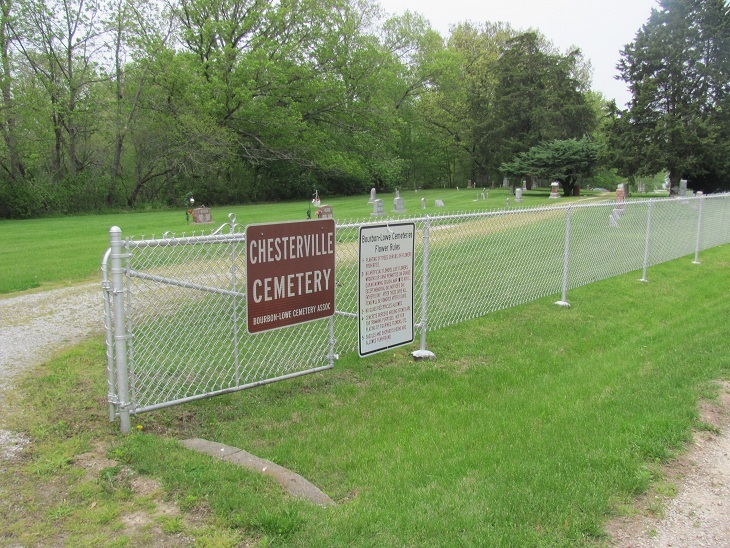 Although somewhat challenging to find, the Chesterville Cemetery was a beautiful little location near the banks of the Kaskaskia River directly across the road Amish homesteads. 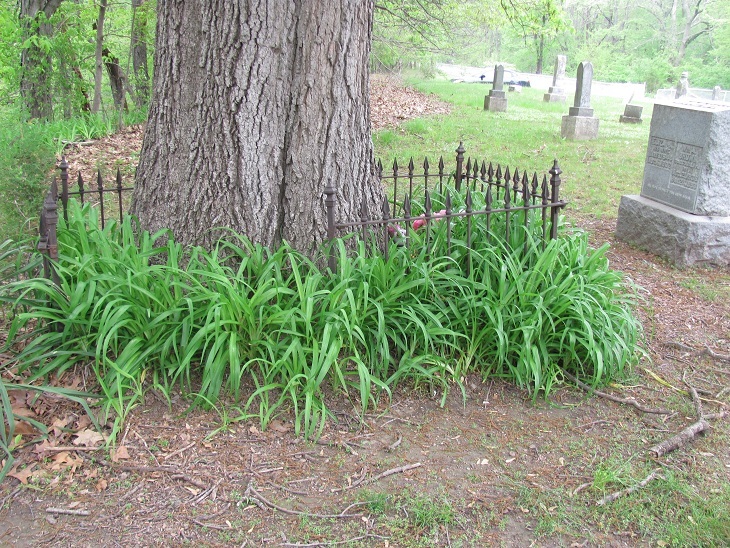 The odd thing was that the Oak planted on top of her grave was by far the largest tree in the area, in fact the tree is so large that it is now actually growing through the old iron fence. Despite only being there for such a short time, it appears that we may have been able to capture some EVPs. I have talked with other investigators in the paranormal community who have related some very strange experiences at this location so I’m hoping we will get another opportunity to visit in the future. It was well worth the trip, not just to see the Amish community, but as the women of CAPS will attest, there is also much to investigate at the Outlet Mall just outside of Tuscola.